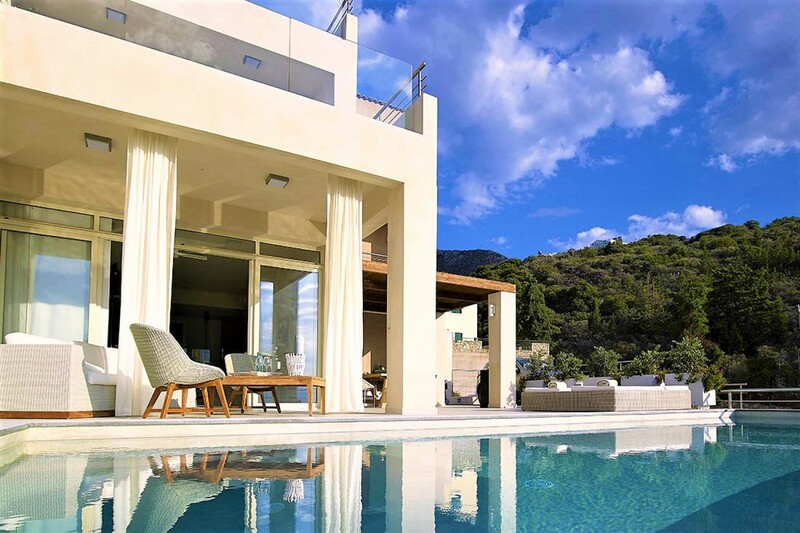 Welcome to Amelia, a 4-bedroom private villa that is nestled overlooking Souda Bay in Crete, Greece. 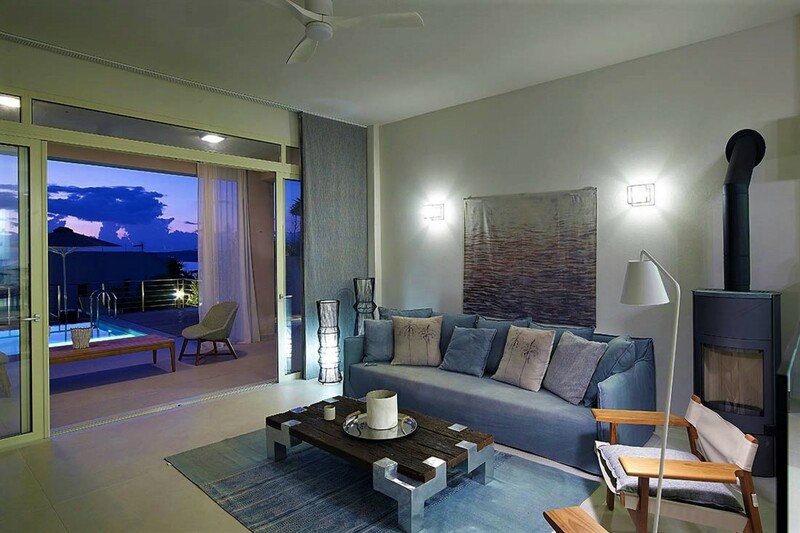 This luxurious villa can accommodate up to eight guests over its spacious interiors and expansive exteriors. 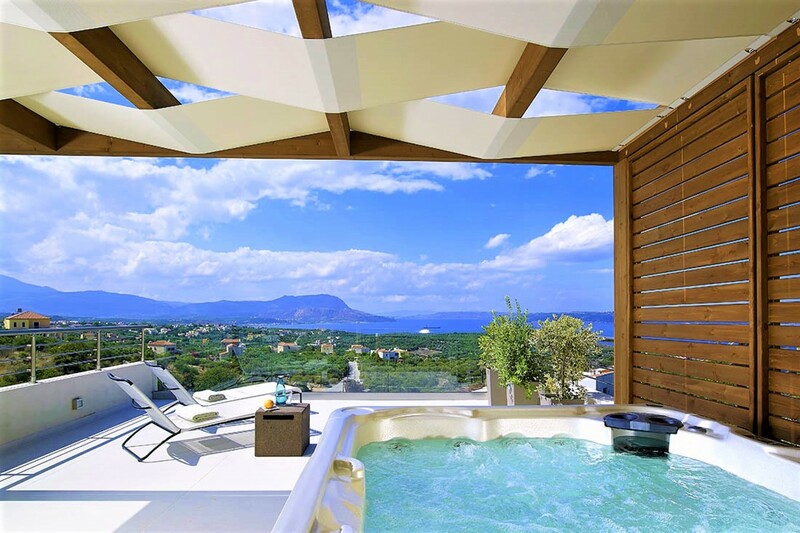 This Ocean view villa offers the ultimate private Greek island experience overlooking the scattered Apokoronas villages and the magnificent White Mountains. 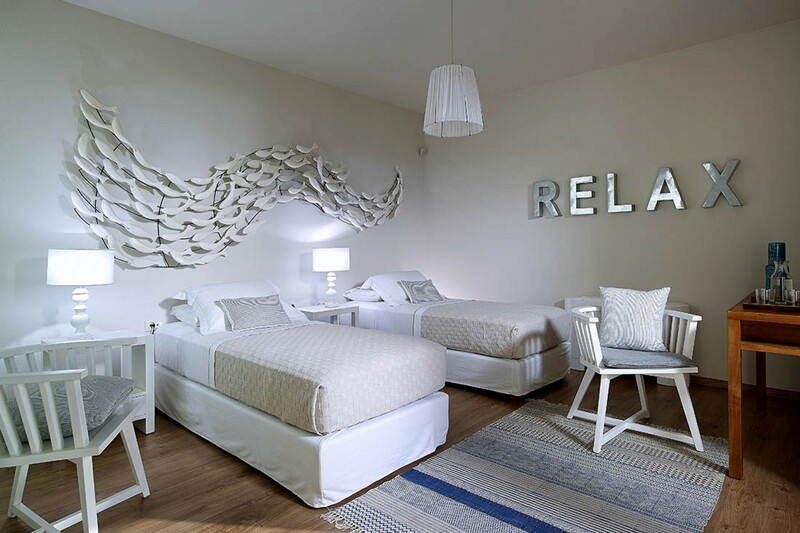 It offers a vast variety of amenities that add the feeling of a five-star-resort including the private heated pool with a children’s area, outdoor jacuzzi, the outdoor dining and seating areas and the four luxurious bedrooms. 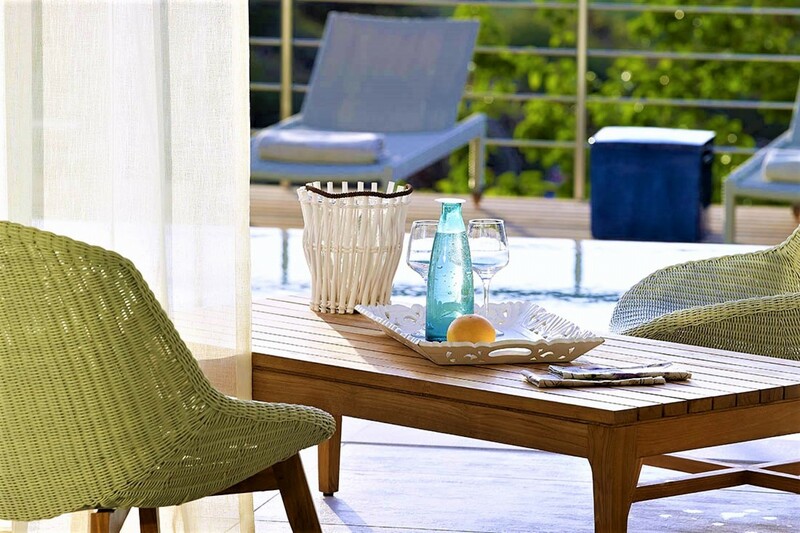 The outdoor private terrace embeds a large secluded swimming pool with crystal clear turquoise water. Slip into the cool waters embrace for a refreshing morning swim and then lie out on the sun loungers to dry off under the glorious sunshine. 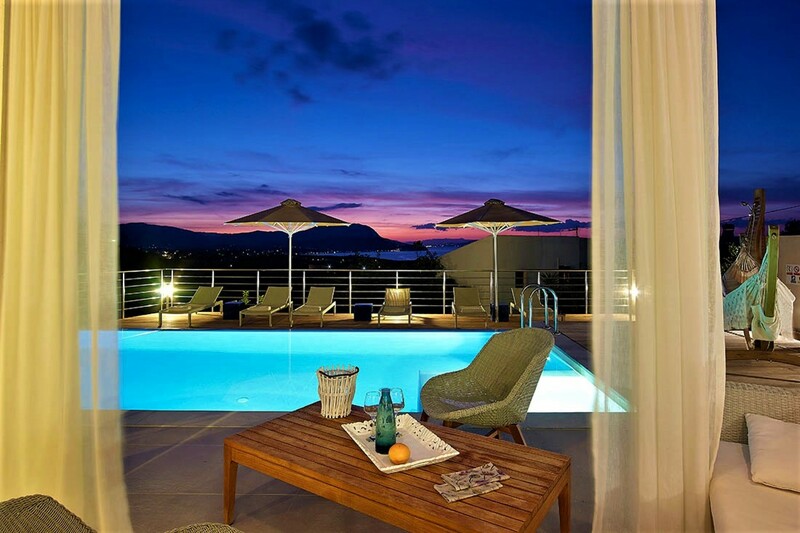 Amelia is perched overlooking the captivating views of Souda Bay. It is the perfect place to enjoy a refreshing drink to sip on as you rest on the sunbeds and watch over the tropical lands. If you wish to indulge in some secluded shade, then why not settle in the draped seating area with your favorite novel. 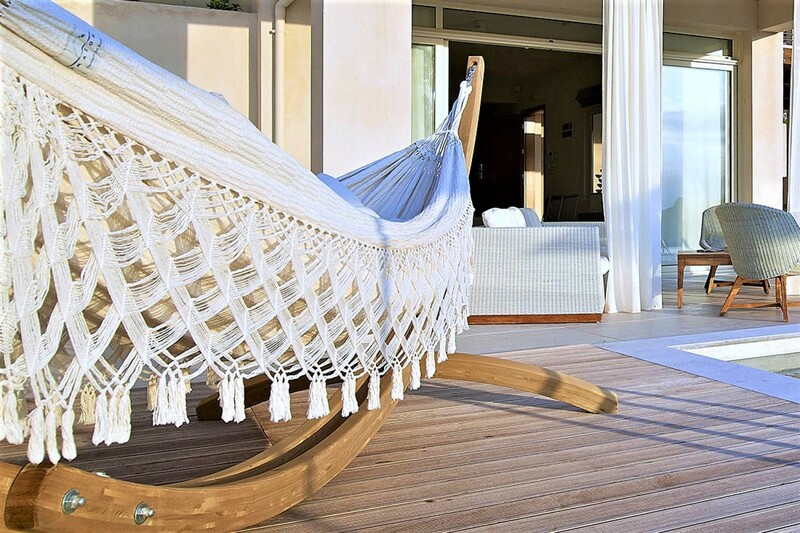 You could also indulge in the relaxing hammock that rests on the private terrace. You can dine outside in the covered dining area if you wish. This space seats up to six guests and is the perfect spot to enjoy a home-cooked even meal after a day exploring the local areas. Here you can watch the evening sky turn from a warm pink to a deep midnight sky as the sun sets leaving the sky shimmer with stars. 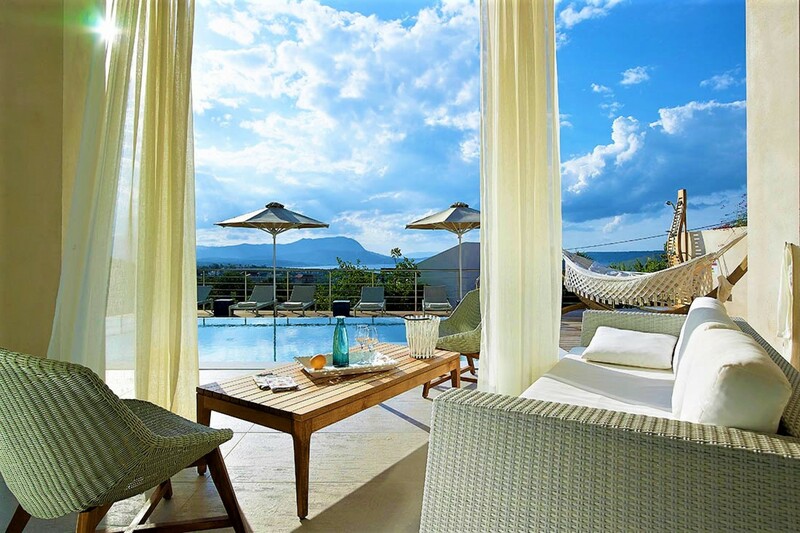 Villa Amelia is a 4-bedroom villa spreading over 3 levels and is in a complex of four other villas. Amelia is the most private and luxurious of the complex. 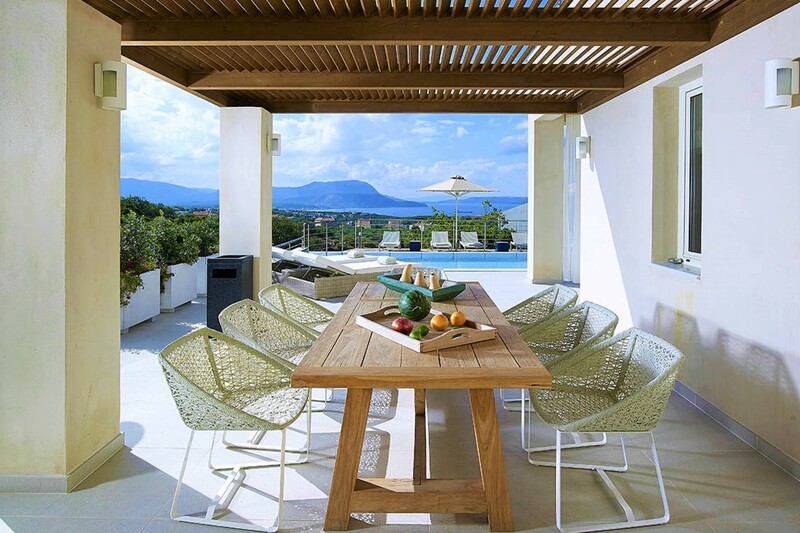 The unique characteristic of this villa is fitted with very pristine open design living spaces. 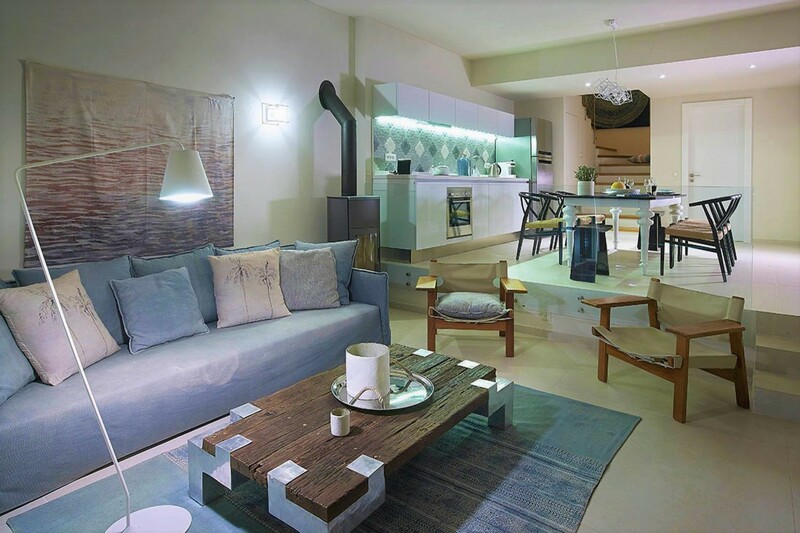 The main living area is very contemporary in its layout and is furnished tastefully. The plush sofa in the living area is in the perfect spot beside the fireplace in the corner. The high-resolution television is on the opposite end and the room is decorated with modern wall hangings and art. The living area directly opens up onto the outdoor seating area and the large floor to ceiling windows floods the space with light and warmth. 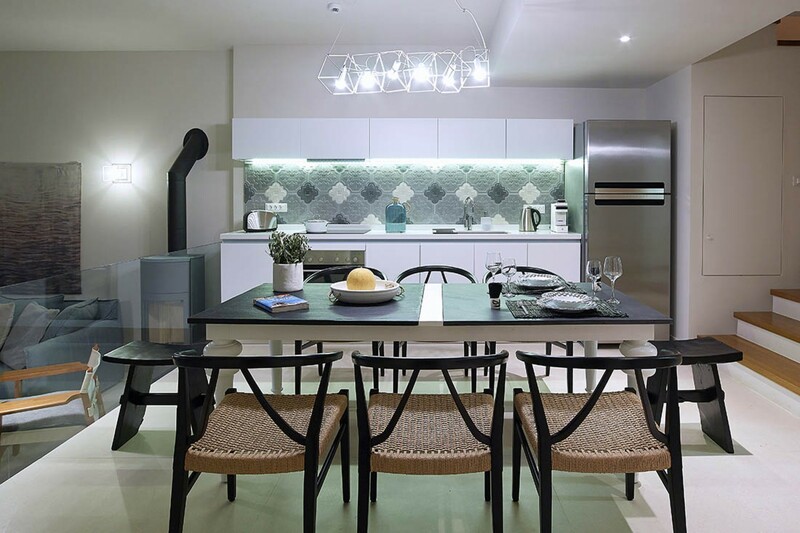 The dining area and kitchen blends with the living area as it embraces an open design concept. The kitchen is fully equipped and ready for you to use, maybe to try out some new recipes. Its pristine cabinets are very modern and the pastel-colored patterned tiled wall makes the space blend harmoniously. The dining table can seat up to six guests. 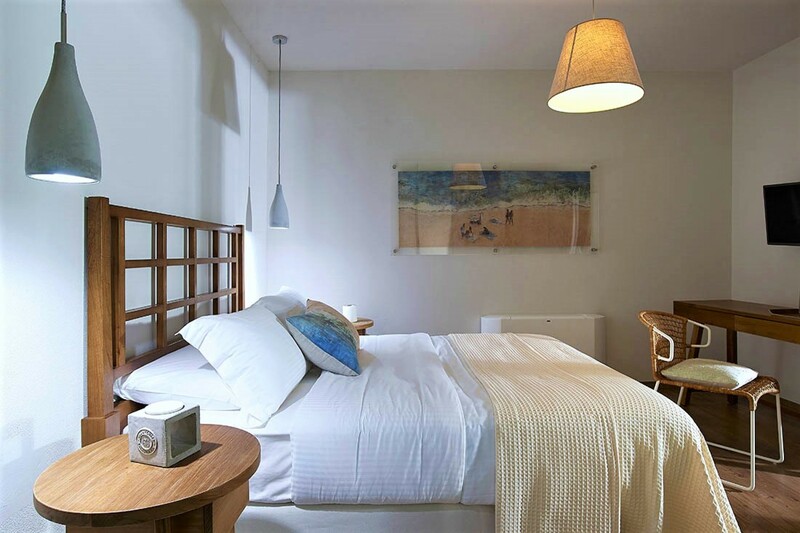 This floor (ground floor) also contains a large double bedroom with a private en-suite bathroom attached. 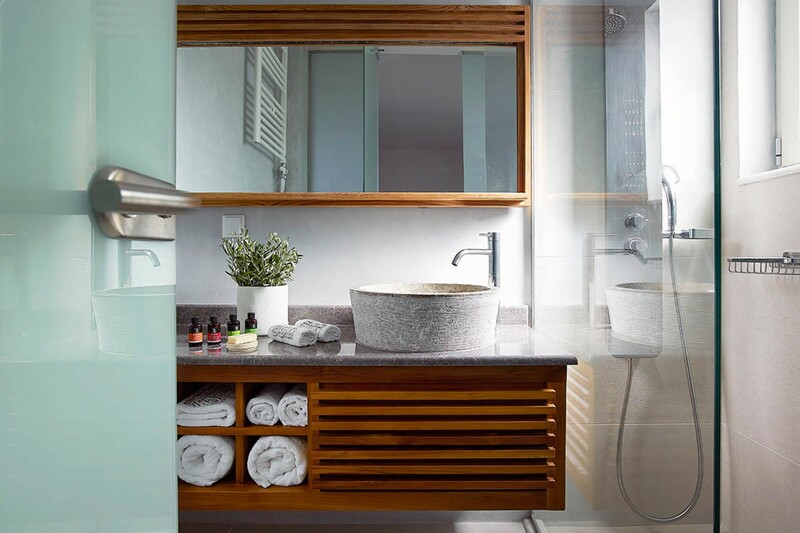 The ground floor includes a guest Bathroom. 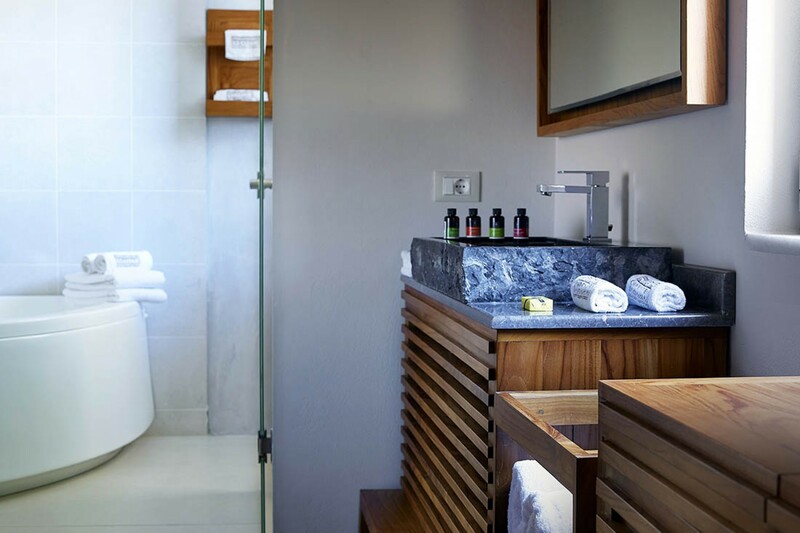 Making your way through the villa the first level holds an elegant and luxurious Master suite and a double bedroom, both fitted with private en-suite bathrooms. 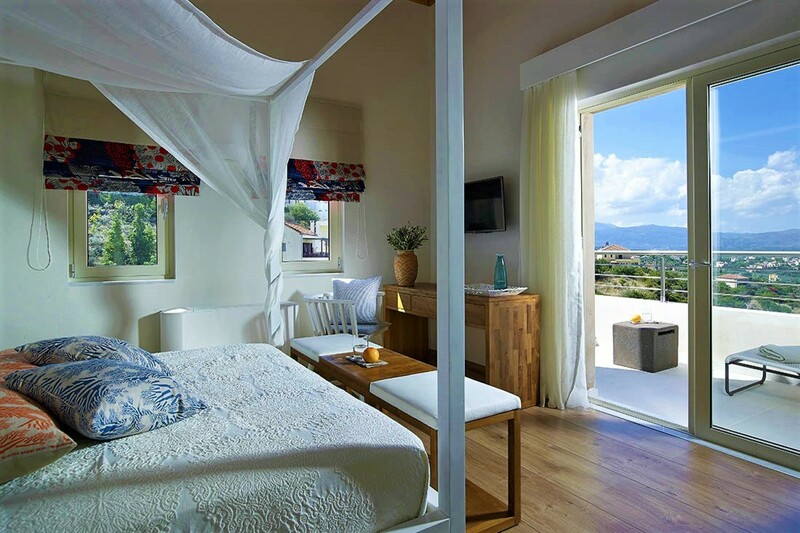 The bedrooms enjoy captivating views from the private veranda, looking out of the Bay and the majestic White Mountains. There is also a Laundry room located on the first floor. 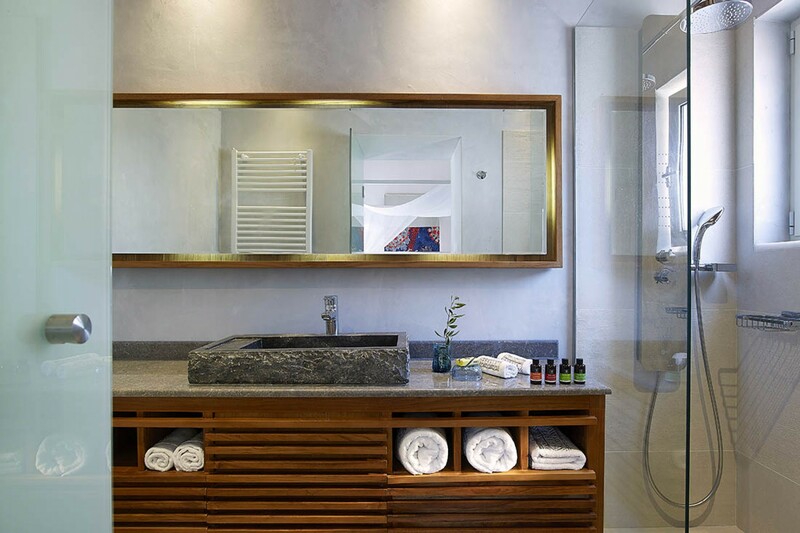 The top level consists of the main Master suite bedroom with an en-suite bathroom. This bedroom has access to a private balcony and a luxurious outdoor Jacuzzi. Villa Amelia is truly an escape from the daily routine and gives you the complete freedom to plan your own schedule. 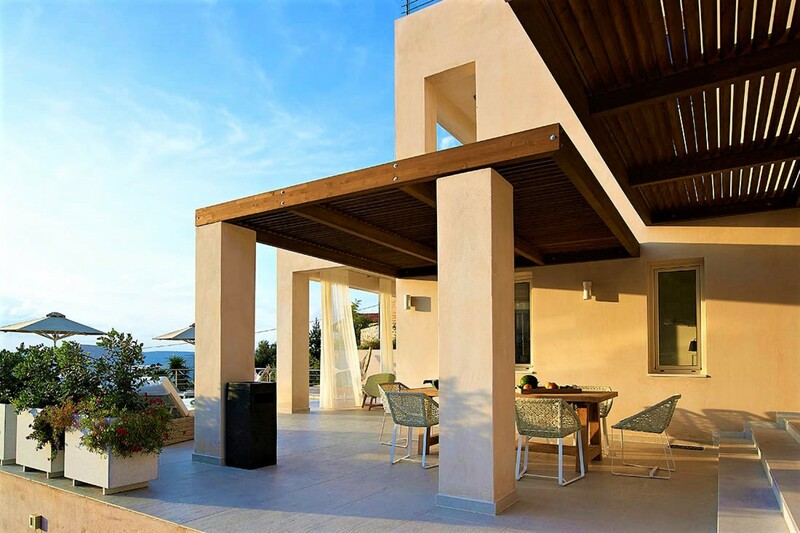 This villa provides you with a Greek island experience, one you will never forget as you indulge in your private villa by Souda bay. 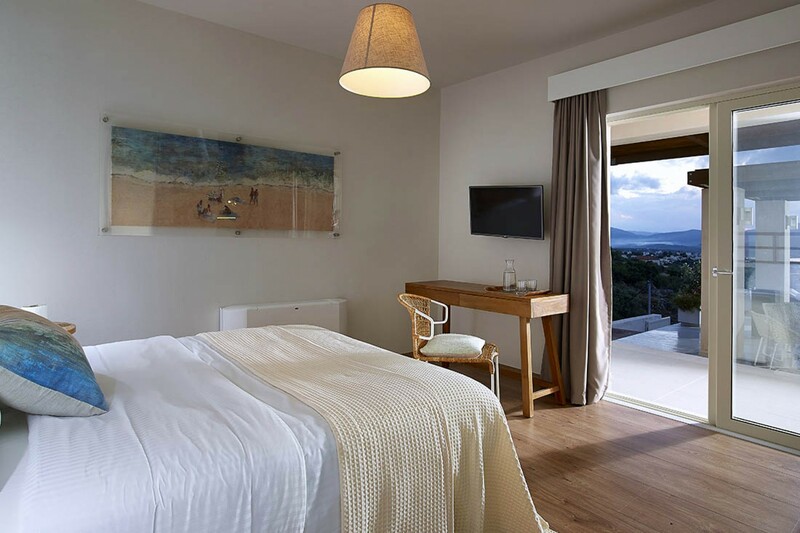 Amelia is nestled overlooking Souda Bay in Crete, Greece. 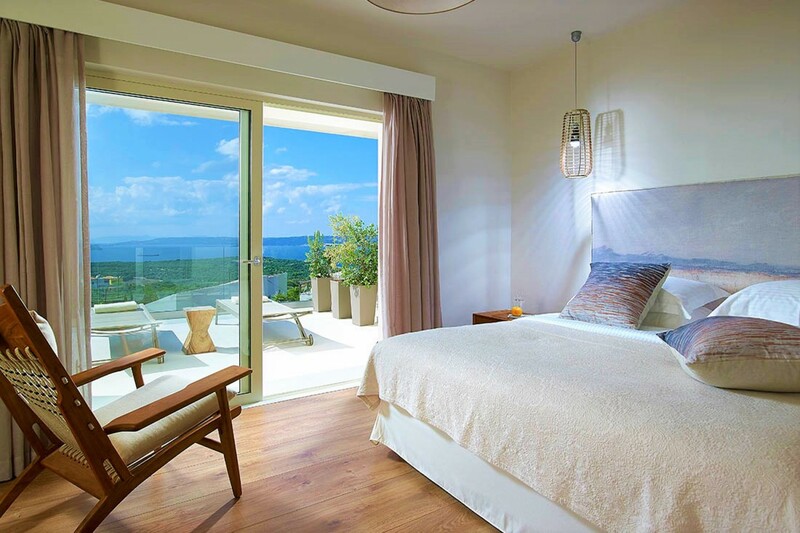 This Ocean view villa offers the ultimate private Greek island experience overlooking the scattered Apokoronas villages and the magnificent White Mountains. Souda Bay in western Crete is a short 6 km from the city of Chania. Apokoronas is a quaint area that extends to the northeastern part of Chania, by the base of the majestic White Mountains towards the north coast of Crete in Greece. The village is characterized by the vast green hills, lush tropical land and rivers that are laced through the land. The abundance of water coming from the mountains creates the only natural lake of Crete. The town is famous for its seaside resorts, as well as the picturesque traditional villages and settlements. The White Mountains are a majestic landmark in Crete. They are home to the deepest caves in Greece. These include the dark sinkholes of Gourgouthakas and Leon. The most well-known plateaus include Omalos, Anopolis, Askyfou, Tavri, and Niato. This area is home to a profusion of local flora and fauna species as well as the southern side of the mountain embedding cypress, oak, pine trees and chestnuts. Chania Airport is located an approximate 36km from Amelia, while Heraklion Airport is further at 130km. Souda Port is closer at 18km in total, a short twenty to thirty-minute drive. The local town of Kokkino Chorio is a stone's throw from your doorstep at 500m. This is a short ten-minute stroll if you wish to explore the area. The local beach of Vraskos is a short 1km from you. Making a beach day very accessible and easy to attain. 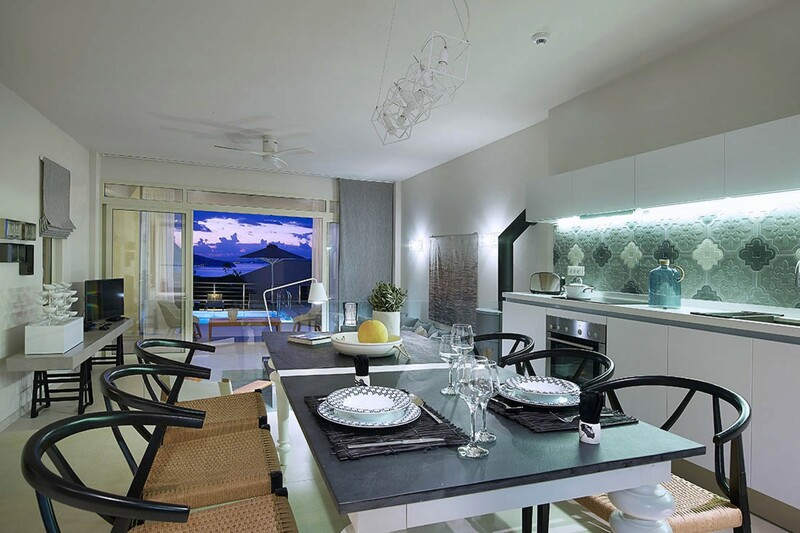 The closest shops and restaurants to the villa are 500m away, so you will always have what you need. 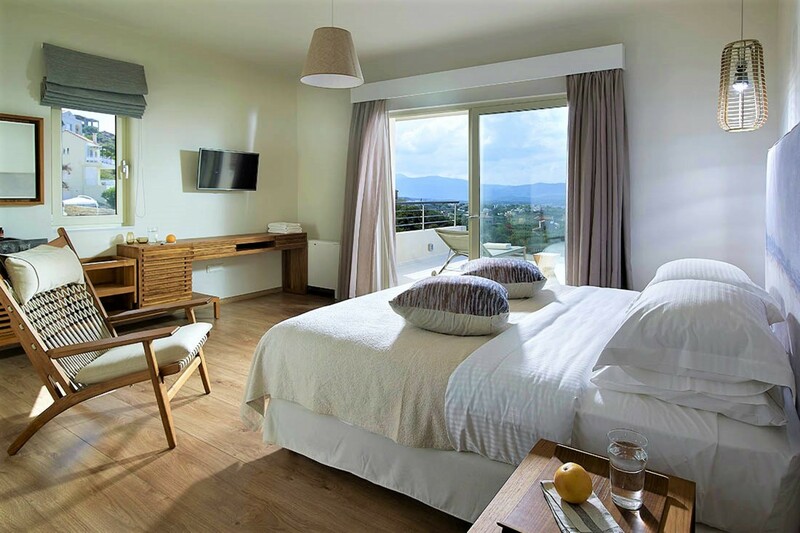 Bedroom 1 - Master: Luxurious Master Suite bedroom, a large Double bed and a private en-suite bathroom, access to the private Balcony, outdoor Jacuzzi, Views overlooking the Bay. 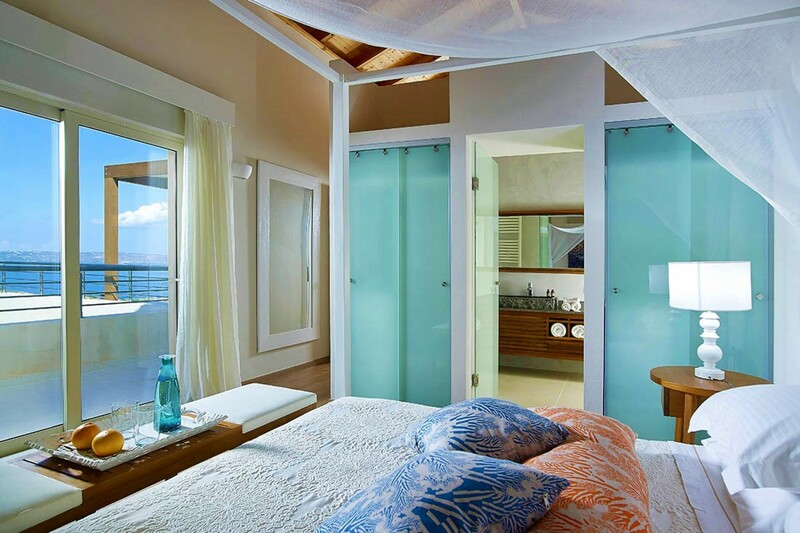 Bedroom 2: Second Master suite with an en-suite bathroom and private balcony, Views overlooking the Bay. 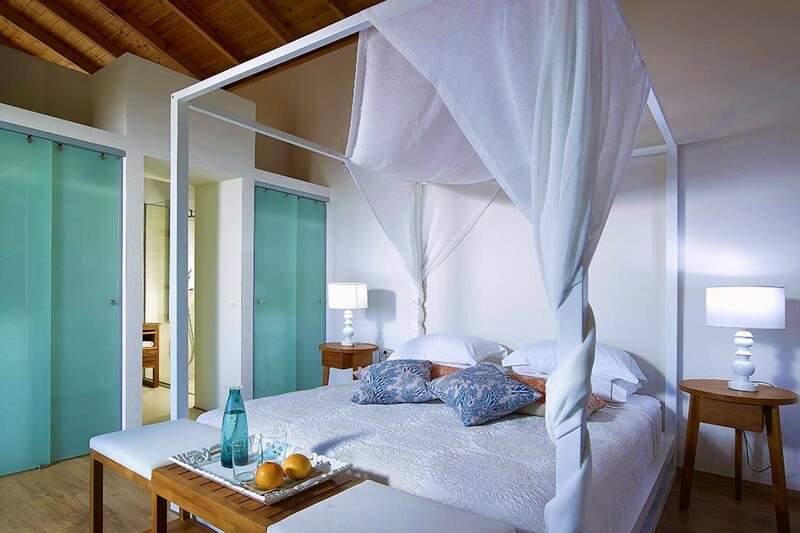 Bedroom 3: Comfortable Twin bedroom with an en-suite bathroom and a private Balcony, Views overlooking the Bay. Bedroom 4: Comfortable Double bedroom with an en-suite bathroom.